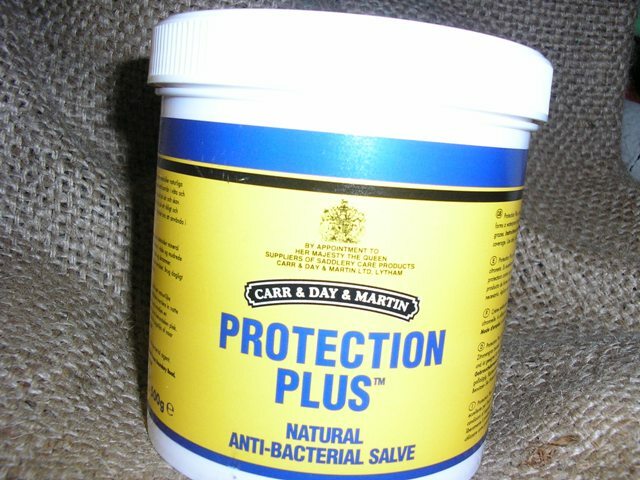 Car Day and Martin Protection plus natural anti-bacterial salve contains natural mineral greases and citronella.It forms a waterproof barrier in wet and muddy conditions and is excellent for use on cuts and grazes. Great as a barrier in the mud. Click the button below to add the Protection Plus 500g to your wish list.